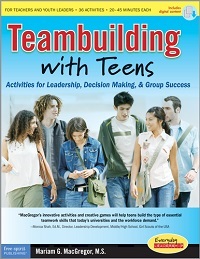 Thirty-six activities make learning about leadership a hands-on experience. Encourages teens to recognize each other's strengths, become better listeners, communicate clearly, identify their values, set goals and more. Includes a CD-ROM with reproducible forms. Ages 11-18.